In the United States, an estimated 76.4 million individuals (1 of 3) who are 20 years and older are considered to have high blood pressure (BP). Only around 78% of those diagnosed with the condition are seeking treatment, and of that group, just 44% have their BP under control. High BP, also called hypertension, is often referred to as the “silent killer,” because if left untreated or uncontrolled, it can lead to strokes, heart attack, heart failure, liver failure, and an overall increased risk of death. Between 1996 and 2006, the number of deaths resulting from high BP increased by almost 50%. If any of these risk factors apply to you, or if you are African American, older than 35 years, or have a family history of high BP, you may be at an increased risk for developing high BP and should consult with a doctor. There are 3 types of BP monitors: mercury column, aneroid, and digital. Aneroid and digital monitors are most commonly used in the home. Aneroid monitors are light, portable, and considered to be very affordable. 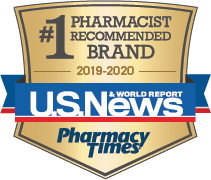 It is important to consult with a pharmacist to make sure you know how to use these monitors and read the results properly. Many aneroid monitors come with a stethoscope attached to the cuff so that it does not have to be held in place. Some monitors have the gauge attached to the inflation bulb, which allows for easier handling. Reading standard aneroid monitors accurately requires good eyesight, hearing, and dexterity. For those with poor vision, there are aneroid meters with large print on the gauge for easier reading. With these monitors, when the cuff is completely deflated and lying on a table, the needle should rest in the box. If the needle lies outside the box, the gauge needs to be recalibrated. In that case, contact the manufacturer of the device for instructions on recalibration or contact your physician or pharmacist. Digital monitors are very popular because they are easy to use and can be used on the upper arm or wrist. Arm monitors are available in a variety of cuff sizes, so it is important to choose the proper cuff size to accommodate the upper arm to help obtain accurate results; pharmacists can help point you in the right direction. Although wrist monitors are small and portable, some experts believe that they may not be as accurate as upper-arm monitors, and errors may occur in readings. The American Heart Association recommends automatic cuff-style upper-arm monitors, which provide more reliable readings than wrist monitors. BP monitoring is critical in controlling BP and can be easily incorporated into the daily routine. Those who need clarification on the proper use of monitors and on factors that can affect the accuracy of results, such as stress, smoking, and caffeine use, should consult with a pharmacist. It is also recommended that individuals speak to a pharmacist about the serious consequences associated with uncontrolled BP, as well as the importance of sticking to a treatment plan. The results of BP readings should be discussed with your doctor, especially if they are elevated readings. If you experience blurred vision, headaches, and dizziness, seek medical care immediately.